Department of Trade and Industry(DTI)-Abra Provincial Director Arell Bañez informed the public of a new law that reduces the processing time for permits, transaction, and application of business. Simple transactions will be reduced to 3 days, complex transactions to 7 days, and highly-technical transactions to 20 days. Under Republic Act No. 11032 known as Ease of Doing Business and Efficient Government Service Delivery Act, processing government documents and permits for businesses is streamlined. 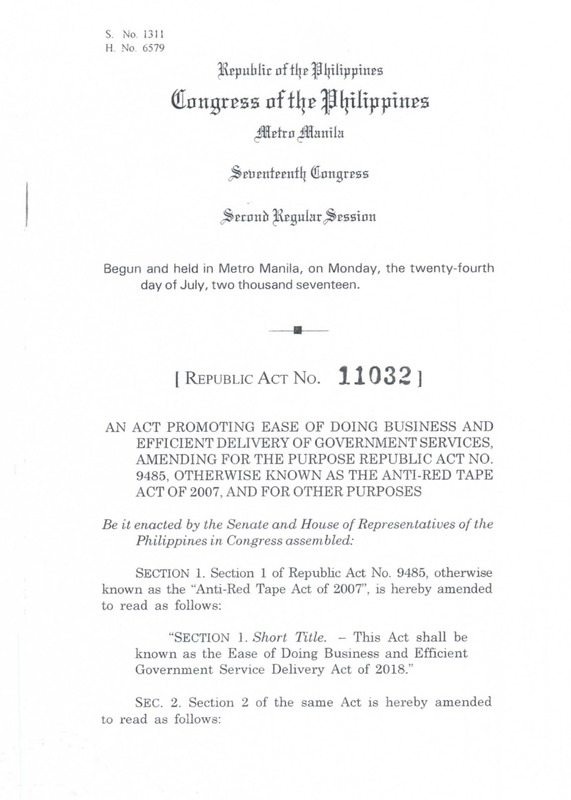 More so, DTI implements the law in partnership with the Civil Service Commission (CSC) and the Anti-Red Tape Act (ARTA). Anyone violating the law will be filed an administrative case and/or a criminal case and subject for penalties.